NASA Press Kit for space shuttle mission STS-54. Primary payload is TDRS. Launch scheduled for January 13, 1993.
located at 72 degrees west longitude, frequency 3960.0 MHz, audio 6.8 MHz. and landing operations will be produced by the appropriate NASA newscenter. The Gambia; Ben Guerir, Morocco; or Moron, Spain. Kennedy Space Center, White Sands Space Harbor, Banjul, Ben Guerir and Moron. orbiter's payload bay the following day. the retrieval of the EURECA satellite. Earth orbit require TDRSS's support capabilities for mission success. percent -- depending on a spacecraft's orbital position. of this decade are TDRSS-dependent. under development to eliminate a critical single point of failure. meet these additional mission requirements. communications spacecraft planned for the TDRSS. degrees east longitude (over the Indian Ocean south of Ceylon). TDRS-1 171 degrees west (East of Gilbert Islands and South of Hawaii). TDRS-5 174 degrees west (East of Gilbert Islands and South of Hawaii). longitude (over the Pacific near the Gilbert Islands). satellite will occur at 13 hours after launch. 1 - Deploy solar arrays. 2 - Deploy space-ground link boom. 3 - Deploy C-band boom. 4 - Separation of IUS and TDRS. 5 - Release single access booms. 6 - Position single access antennas. 7 - Open single access antennas. During steps 5, 6 and 7, Earth acquisition is taking place concurrently. TDRS satellites do not process customer traffic in either direction. between the user spacecraft and the ground terminal and vice versa. interference with the availability of the Ku-band uplink and downlink channels. lower the cost of each satellite. coatings and controlled electric heaters. within the beam width of the antenna. transmissions to and from the ground terminal at Ku-band. Field Engineering Corp., Columbia, Md. geosynchronous orbit, some 22,300 statute miles (35,880 km) from Earth. space tug, and the IUS was named the Interim Upper Stage. The word "Inertial"
Seattle, was selected in August 1976 to build the IUS. relative simplicity, high reliability, low cost and safety. The IUS is 17 feet (5.18 meters) long and 9.25 feet (2.8 m) in diameter. (80,784 newtons) of thrust and an equipment support section. skin-stringer construction with longerons and ring frames. The Equipment Support Section houses the majority of the IUS avionics. stations as well as electrical power distribution. with 120 pounds (54.4 kg) of fuel. contamination after the spacecraft separates. transmission between the two are provided by several IUS interface connectors. and into the IUS cavity, which in turn is vented to the orbiter payload bay. are grounded to the IUS structure to prevent electrostatic charge buildup. normally are performed at this time. the spacecraft or IUS, the IUS and its payload can be restowed. switched from orbiter power to IUS internal power by the orbiter flight crew. decision for IUS/TDRS deployment will be sent to the crew. the orbiter payload bay at approximately 0.10 meters (4.2 inches) per second. transfer orbit injection through spacecraft separation and IUS deactivation. thermal attitude and perform any required spacecraft thermal control maneuvers. will be separated from the IUS second stage. perform a final collision/contamination avoidance maneuver before deactivating. medium, the matter that fills the space between stars? state of this constituent of the Milky Way galaxy. most of the visible matter in the Universe. two identical instruments, one mounted to each side of the Shuttle cargo bay. attached to the side of the Shuttle bay. emissions from a collection of distant galaxies and low- energy or "soft"
x-rays that are not yet well understood. DXS will study the latter. vicinity of Earth's solar system. diffuse soft x-ray background from each of several regions of the sky. in the last 100,000 years or old and heated millions of years ago. DXS will make this type of measurement possible for the first time. and control the operations of the Hitchhiker carrier support hardware. University of Wisconsin for post-flight testing and calibration. and requirements that can be accomplished in a 5- 10 day Shuttle mission. Astro-1, and DXS moved to STS-54. construction of Space Station Freedom, scheduled to begin in early 1996.
weightlessness and the underwater facility used to train crew members. impact on the other payloads aboard Endeavour. difficulties involved with spacewalk work. understanding how gravity influences fertilization and development on Earth. wheat and rice are to be utilized for food. 14-day-old plants, capable of producing seeds, can be flown. flown on STS-3, -51F, -29 and -41.
controls conducted at a later date using identical hardware. and agricultural development and manufacture of biological- based materials. test models. Of the 12 test models, five are related to immune disorders. of new drugs to treat these diseases. build-up of unwanted bacteria and other micro-organisms. agricultural materials to produce valuable seed stocks. may be used in novel electronic mass storage systems associated with computers. investigations that show the greatest commercial potential. end an experiment. Individual experiments will use two to 12 FPAs each. to support cell culture investigations. from breakage and serves as a second level of sample fluid containment. injected into the first chamber, activating the biological process. glass barrel into the first chamber. depress the eight FPA plungers simultaneously. crank handle to each GAP. first or second flight day. For most of the investigations, simultaneous ground controls will be run. Space Center will be used to duplicate flight conditions. sponsoring labs for detailed analysis. Principal Investigator Kenneth M. Baldwin, Ph.D.
Co-Investigator Vincent J. Caiozzo, Ph.D.
weakness, particularly in the female population. important to the broad range population base of our society. the organ systems of the body. the force of gravity normally impacts health and well-being. retaining a normal capacity to process carbohydrate for energy. and the individual cannot sustain physical activity for as long a time. stamina after exposure to microgravity for 6 days. NASA's Office of Space Science and Applications. propagation in microgravity are different than in normal gravity. understanding of flame propagation in microgravity and on Earth. experiment consists of two parts -- the chamber module and the camera module. has two perpendicular viewports -- one on the side and one on the top. tests will use polymethylmethacrylate (PMMA), commonly known as Plexiglas*. ceases. The entire process takes approximately 25 minutes. 1991, June 1992 and September 1992, respectively. and Applications Division of the Office of Space Science and Applications. educational resources NASA has offered to schools. toys will do in the microgravity of space flight. is making his second Shuttle flight. carried Department of Defense payloads and a number of secondary payloads. 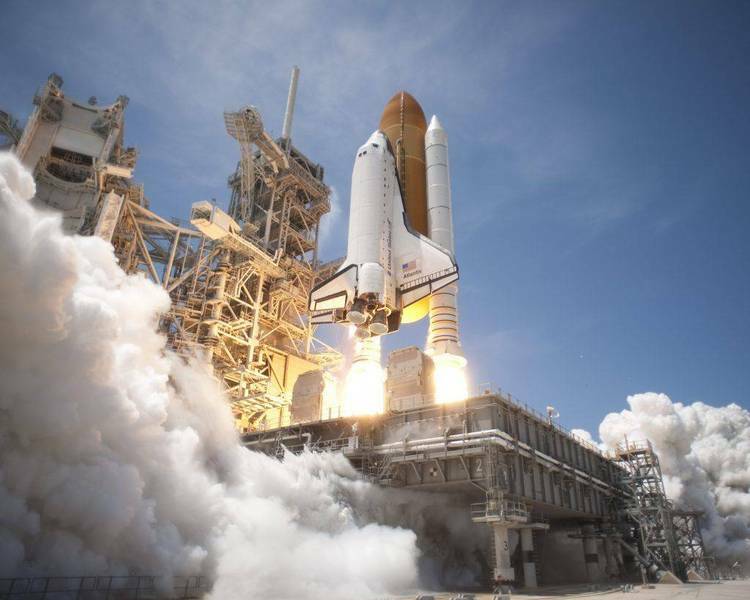 first Shuttle mission lasted 106 hours. an unclassified Department of Defense mission. Gregory (Greg) J. Harbaugh, 35, will serve as Mission Specialist 1.
had logged 199 hours in space. Mario Runco Jr., 39, Lt. Cdr., USN, will serve as Mission Specialist 2.
degree in meteorology from Rutgers University, New Brunswick, N.J., in 1976. U.S. Navy in 1978 and being commissioned that same year. and Indian Ocean before joining NASA. numerous medical tests. Runco logged more than 166 hours on that flight. STS-54. From Portland, Ore., she was selected as an astronaut in 1990.
received a bachelor of science degree in aeronautical engineering from the U.S.
astronautics from Stanford University in 1985.
be her first Space Shuttle flight.